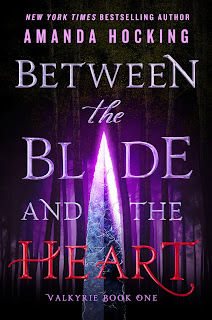 I'm SO EXCITED to be a part of my first ever publisher hosted blog tour for Amanda Hocking's latest book, Between The Blade and the Heart. This book is about the Valkyrie (if you saw Thor: Ragnarok, you'll know who they are) and I just wanted to welcome you to my stop! I HAVE THOUGHTS. SO SO MANY THOUGHTS. I hadn’t heard about Between the Blade and the Heart until a lovely publicist from St. Martin’s Press pitched me the book as a part of a Blog Tour invite and the minute I read the word Valkyrie, I WAS SOLD. If you haven’t seen me tweeting UNENDINGLY about just how brilliant Thor: Ragnarok was, YOU DON’T KNOW ME. I have seen that movie THREE TIMES in theatres, and I would’ve been there a fourth time if they hadn’t taken it off screens. If you have seen the movie, you’ll know that one of the main characters is a part of an ELITE FEMALE WARRIOR ARMY, the Valkyrie. 1. THE MYTHOLOGY: As soon as I heard that this book was about a Valkyrie, I assumed that it would be filled with Norse mythology. And yet, there were so many OTHER cultures coming into play, including Indian, Sumerian and Indonesian. While I LOVED the diversity, I feel like if the book acknowledged all the different cultures, I would’ve enjoyed it more, instead of feeling like I was reading about X culture and an intruder Y showing up. 2. 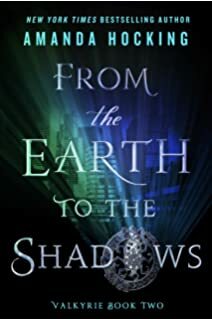 THE CREATURES: This book was FILLED with paranormal/ supernatural and mythical creatures ranging from fallen angels to vampires. While these are some of the well-known creatures, there were SO MANY MINOR MYTHOLOGICAL CREATURES THAT I’D NEVER HEARD OF, and it resulted in me DESPERATELY wishing for a glossary and reaching for the dictionary. I loved the fact that they were there, but it resulted in me being one CONFUSED reader. 3. THE WORLD BUILDING: In relation to what I just wrote above, what I was expecting was Norse Mythology (most of my knowledge comes from the Thor movies) but I was drop-kicked into a world where paranormal and mythical creatures lived side by side, there was advanced technology, schools for children of mythical creatures and I just NEEDED a foreword or some kind of introduction before I was thrown into the deep end. Of course, it all made sense as I read on but STILL. 4. THE LOVE INTERESTS: I ABSOLUTELY LOVED THAT MALIN, OUR VALKYRIE MC WAS BISEXUAL and I loved that there were male and female love interests. It made this book so much more interesting because YAY for diversity. HOWEVER, I am NOT A BIG FAN of love triangles (well, more of a love square/ flowchart) with one minor and two major love interests. It made me groan, because didn’t we all get over love triangles/ squares/ flowcharts after Twilight? 5. THE ENDING: I LOVED THE ENDING SCENE OF THIS BOOK. I made me flail in excitement and scream out loud and just that ONE scene has me so excited about what is to come next! Will I be picking up the next book? YES. That ending was fodder for my fangirl heart. 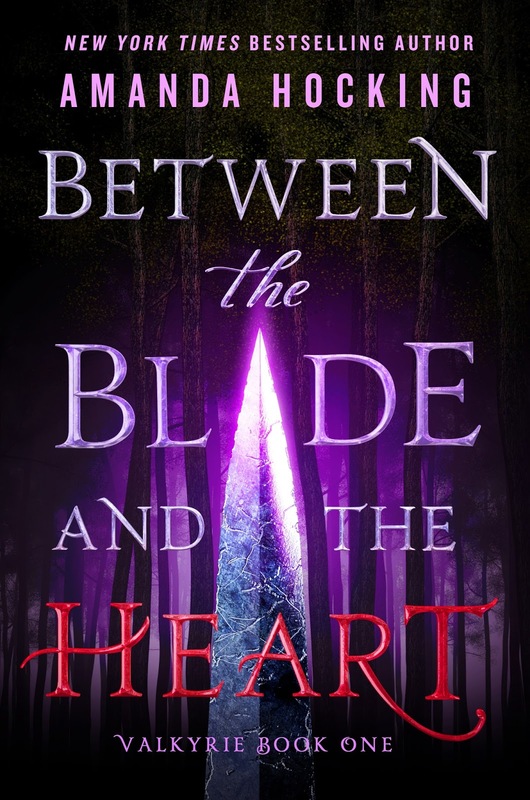 Between the Blade and the Heart was a diverse book filled with mythology and I’d definitely recommend digging in, even if it has its flaws! 3 stars. Have you read any of Amanda Hockin's previous books? Is there anything I should start reading RIGHT AWAY? What are your favourite books that have mythology as a major part of them? I'd love to hear some recommendations! the only life I’d ever really known, but the noise of the congestion grated on me tonight. street. The u in Shibuya had gone out, so the sign flashed SHIB YA at me. couldn’t keep from fidgeting and cracked my knuckles. snack on a stakeout was one of her first lessons, but I was far too nervous and excited to eat. from the shock of dark red lipstick. sword Mördare glowed a dull red through its sheath. years old, forged in fires to look like red glass that would glow when the time was nigh. glowing dully on my hip. but I didn’t feel it. I didn’t feel anything. the club door as it groaned open. limp favoring his right leg. to double over, and he braced himself against the brick wall. seen me before, but he recognized me, the way they all did when their time was up. my sword, I cracked him on the back of the skull, and he fell to the ground on his knees. struck it across his neck, decapitating him. puddle at my feet, and I felt nothing but relief.